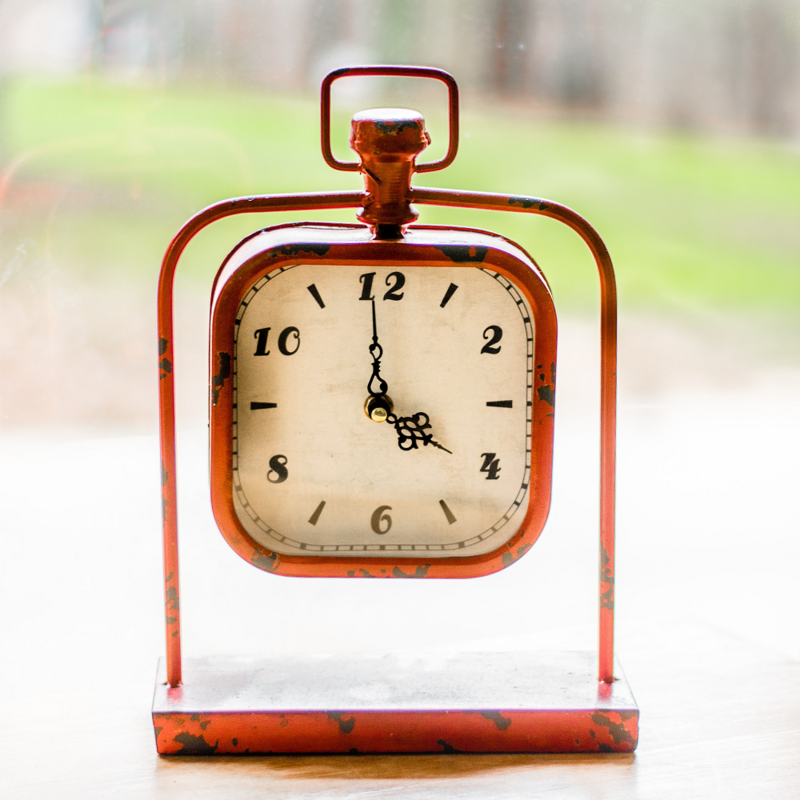 Do Schedules and Deadlines Help or Hurt Your Blogging? Have you ever missed a deadline? Do you have a content schedule or editorial calendar for your blog? Yes, today’s episode is all about schedules and deadlines. Whether you follow a daily, weekly or monthly schedule, does it allow you to produce the best content? What if you can’t come up with something good enough to publish? I don’t have a schedule at all because it seems to be too limiting. I won’t publish anything unless I have something that’s worthwhile. Am I doing the right thing? Or am I overthinking and over-worrying? Will my readers even care? Do they pay that much attention to what I do? Quality beats quantity: If the quality of your blog content is suffering, it won’t lead to long-term, sustained growth. Quantity is still important: Don’t slow down so much that you hardly post anything; if you feel everything you write is second rate, that perfectionism will stop you from producing quality content. Deadlines can help or hinder. They can be incredibly motivating for some bloggers, who do their best work under pressure. But for others, schedules and deadlines are crippling. Panic sets in, and stifles creativity. Then there are those who would never have completed high school or kept a job if there weren’t any deadlines. So deadlines can be your friend or your enemy. If your content isn’t great, you don’t have to publish it. If your planned schedule is causing anxiety, you don’t have to stick to it. It”s okay to change your schedule. It’s okay to stop publishing new content for a while to focus on other parts of your blog (or just to have a break). Whether you love them or hate them, deadlines and schedules are a part of most people’s lives. Strive for timely goals that produce quality content for your blog. Welcome to episode 249 of the ProBlogger Podcast. My name is Darren Rowse and I’m the blogger behind ProBlogger, a blog, podcast, event, job board, series of ebooks, and courses designed to help you to grow a profitable blog. You can learn more about what we do at ProBlogger at problogger.com. In today’s episode, I want to talk about schedules and deadlines. I want to talk about keeping your content coming out on a regular basis, and if having a schedule or a deadline or an editorial calendar is actually a good thing or not, because this week I had a question coming from someone who is really struggling with having a deadline. They’re actually finding the deadline, maybe, actually holding them back in some way. I want to give some advice around that. Particularly for those of you who do struggle with deadlines. I know some of you love a deadline, others of you struggle with deadlines. We’re going to explore that a little bit today. You can learn more about today’s show and get a full transcript of it and comment on today’s show in our show notes at problogger.com/podcast/249. This week I had a question that came in from Betty. It actually really coincides with another thread that I saw on Reddit this week as well, and I left a comment for it. Hearing the same question twice made me think there’s probably other people who struggle with this as well. I want to read Betty’s question. It does come around this idea of scheduling contents, editorial calendars, deadlines, and then I’ll get into some advice for her and for the rest of us who do struggle with this as well. Great question, Betty. It is something that I’ve heard a number of times this week and I know people do struggle with this as well. You’re right. The common advice does seem to be that you should be publishing on a regular basis. This is what something I’ve taught in the past, and I’ve talked about the benefits of publishing regularly, benefitting you as a writer to getting into the flow of writing content. It benefits your readers because your readers begin to expect content coming out at certain times. There’s definitely some benefits of having a schedule, but what happens if the schedule seems to be limiting you? Sometimes the pressure of the schedule can actually seem to inhibit some certain types of people. I want to talk a little bit about that today. There’s certainly no rules here about having to publish it at certain times, but as I look back over the last 16 years of my blogging, I guess I’ve learned a few things. I want to kind of share them and I hope that somewhere in the midst of my rambling advice today will be the answer for you, Betty and for others. The first thing I want to say is quality definitely beats quantity everytime. Ultimately, your blogs are only going to regular readers—it’s only going to attract word of mouth sharing of what you do from one person to another if the quality is of a high level. If your quality is suffering because you’re trying to pump out too much content, then it’s going to really hurt the potential growth and the sustained growth of your blog and the brand of your blog, as well. That’s the first thing I want to say. I think you on some levels have made a really good decision by saying that you are not going to compromise the quality of your blog to pump out more content. I think making that decision to only publish when you’ve got something good of a high standard is a good thing. I want to congratulate you for that, but there are some costs of doing that as well. I want to say good on you, but here’s some things to keep in mind as you do that. Quantity is definitely still important. Quality trumps quantity but quantity is still important. It’s particularly important for some models of blog and if you want to monetize your blog, it’s definitely important for some of the models of monetization. As I’ve said many times on this podcast in the past, every time you publish a piece of content, it’s a doorway into your blog. It’s a potential entry point into your blog. The more content you are able to produce, the more potential doorways you have into your blog which means more potential sources of traffic coming in from search engines, from social media, from links from other blogs. If you are not producing much content, you have less doorways. You still can get a lot of traffic by not having much content, but more content can be of a benefit there as well. Whilst my first point of quality over quantity is definitely one to keep in mind. When you slow down the production of your content, you are slowing down the creation of new entry points into your blog and that can come at a cost. They had this doubt that loomed over every piece of content that they created. They got to a point where in some ways, perfectionism had actually stopped them from creating great quality content because of this doubt that just sort of hung over everything. They got to the point where they realized that they weren’t producing anything. Their content productions slowed down so much that they almost didn’t ever produce anything at all. When they did, they still doubted the quality of that. In effect of what they did is they stopped creating new doorways into their blog, which limited the chance of them being on the end of search engine, search results, social media shares, links from other blogs, which in terms of building traffic to your blog isn’t a great strategy. Quality does trump quantity, but if you don’t produce any content, then you’re really limiting yourself particularly if you have a model on your blog and monetization model that relies heavily upon lots of traffic. I’m particularly thinking if you’re trying to monetize with advertising, particularly ad networks which do rely on a lot of traffic. If you’re monetizing with AdSense, the more traffic, the more page you use, the better in that case. You do need to produce a lot of content. The blogs that I know that are making a full-time kind of level of income using AdSense are generating a lots of content—daily content, multiple pieces of content per day. But if you’re monetizing in other ways, you don’t need as much traffic. You are more interested in a high engagement level—a high level of trust with your audience. In that case, less content can actually be more because the high quality pieces of content. Those few pieces of content that you produced every week, every month, or every year, they can build so much trust with your audience that you can monetize that in other ways. The answer to this question will depend a little bit upon the goals of your blog as well. Quality trumps quantity, but quantity still matters particularly if you’re monetizing in a way that leads lots of traffic. I wanted to shift gears a little bit now and talk a little bit about the idea of schedules and deadlines. Exploring a little bit, do deadlines help or hinder? I think the answer is yes to that. They do help and they do hinder depending on who you are and probably the stage of your blog, as well. Having a deadline can actually be incredibly motivating. Some bloggers actually do their best work because they’ve got a deadline. I’ve got a journalist friend and I can think about the blogger friends who fit into a similar category, but my journalist friend tells me that if it wasn’t for deadlines from her editor, she would not have won some of the awards that she’s received from her work. She told me about an article that she’d written that had won a national award here in Australia. It was only written because she had a deadline. She procrastinated on this piece of work for a long time, but the editor gave her a really hard deadline and there were consequences if she didn’t meet that deadline. That looming deadline gave her a rush of adrenaline and panic that sparked her creative engine. It helped her to produce a very high quality piece of content. The deadline triggered a healthy and productive panic. She told me she doesn’t like deadlines,but she knows that they’re good for her. She produced her best work as a result of that. Over the last few weeks, I’ve been giving you a quote of the week. I want to give you a couple of quotes today and I’ll do them in the midst of this episode. One of the quotes that I like for this is from Thomas Carlyle who said, “No pressure, no diamonds.” There’s a sense that if you want to create a diamond, you need to create pressure. I don’t really know the science behind it, but diamonds are created out of pressure. This is the case for my journalist friend. She produces her diamond pieces of content because of the pressure of the deadline. I found another quote, Stephanie Pearl-McPhee said, “I am a person who works well under pressure. In fact, I work so well under pressure that at times, I will procrastinate in order to create that pressure.” I shared that on Twitter yesterday and a lot of people related to that. There is a sense that for some people, they need a deadline. They need this moment where there will be consequence if they don’t meet the deadline and that in itself can create a productive panic that helps them. That is one type of person I’m talking about, and some of you go, “Yeah, that’s me! I work at my best with a deadline.” For others, the deadline is actually a crippling thing. This is the sense I get from Betty, is that maybe the deadline is actually the problem here. I know for some people that is where the problem actually comes. For some people, the pressure of the deadline actually gives a different kind of panic—a panic that paralyzes people altogether. It becomes a destructive thing. The panic clouds their mind and can stifle their creativity. I know as I’m talking about this, some of you are feeling that way. Some of you are going, “It’s destructive for me to have that deadline.” One of the things, I guess I want to say, as I’m talking about deadlines, I want you to ponder which one of those two types of people are you? Because if you are that second type of person, maybe a deadline, maybe an editorial calendar, maybe a schedule, isn’t the right thing for you. Now, I want to also say this. There’s probably a third group of people as well and that group of people is probably one who can relate to both—that’s me. I can actually relate to both of those reactions to deadlines. There have been periods for me where deadlines have been my friend. If it wasn’t for deadlines, if it wasn’t for my editorial calendar, then I wouldn’t have produced the amount of content that I’ve produced over the years. If it wasn’t for a deadline, I would not be creating this episode right now. I know that on Monday night next week, this podcast has to go live. It’s my deadline. Once it doesn’t have to go live, it’s just the schedule that I’ve set myself. As a result of that, yesterday, I started thinking about what am I going to talk about today? I prepared this podcast and now I’m delivering it. If it wasn’t for the deadline, I probably wouldn’t get this podcast out on time. A deadline is my friend right now in this moment. I don’t like the feeling of a deadline, but I know it is helpful for me. I think most people can relate to that, but I know there are also other times where deadlines have almost been crippling for me, as well. I can relate to another person who many of you would know, George R.R. Martin, who wrote Game of Thrones. This is what he said about deadlines, he said, “I’ve never been good with deadlines. My early novels, I wrote by myself. No one knew I was writing a novel; I didn’t even have a contract.” There’s a sense of freedom, I guess, in not having a deadline for him to just create. I know more recent times with deadlines looming for him, he has struggled to write the latest episode or the latest volume of Game of Thrones. I can relate to that. I can think of times over the last few years for me that deadlines have led me to panic in a way that wasn’t helpful. The deadline itself became the focus, and I was destructive. As a result of that, I ended up either publishing content that I wasn’t happy with—content that wasn’t at the highest standard that it could be or it’s led to stress and anxiety within me. With all of that in mind, I guess my advice on having a deadline, a schedule, or an editorial calendar is to use them if they work for you, but to be aware of how you’re reacting to them as well. I think most of us, probably 95% of us can benefit from having a schedule, can benefit from having deadlines, but there will probably be times for all of us where we need to almost relax a little and allow ourselves to either miss the schedule, miss the deadline, or to even have a period of time where we don’t have one at all. Just be aware that the deadline, the editorial calendar, is not the be all and end all. There are times where missing a schedule is actually a good thing. If your content isn’t up to scratch, if it’s not high enough quality, you don’t have to publish it. You can go a week without that. If your planned schedule is causing you anxiety, you don’t have to stick to it. If it’s actually causing you stress that’s coming out in different areas of your life, in your family life, in your relationships, in the other work that you do, it’s okay to pull back a little bit. It’s totally okay to change your schedule and find a new rhythm over the period of your blog, as well. I’ve talked about how on ProBlogger we’ve changed our publishing schedule many times over the years. Sometimes, we’ve communicated that to our audiences, sometimes, we haven’t. It’s totally okay to stop publishing new content for a period of time and to focus upon other parts of your blog, as well. Or just to have a complete break, as well. There are no rules. I think we need to be kind to ourselves. We need to lighten up a little bit sometimes because we create these expectations. We create our schedule for good reasons, but when it actually begins to hurt more than it’s good, that’s when we need to reassess those things. I want to also just pick up on Betty’s question there about, “Does anyone even pay that much attention to what we do anyway?” I like that question. I like Betty actually saying that because I suspect as bloggers, we think about our audience, their reaction to us way more than they do. I’ve said this before on the podcast as well, most of your audience doesn’t even notice the times that you publish content varying from week to week. I know on ProBlogger, for example, there is a small percentage of you who know exactly when we publish content. You know we publish content on the podcast on Mondays. I’ve talked about that, I’ve told you that’s when we do it. I know some of you know we send our emails on Thursdays or Fridays, depending on where you are in the world. Some of you have noticed that, but I suspect it’s probably 1%—1% of our audience really knows when we are light with a message or when we miss a piece of content. But the vast majority of our audience has no idea. It doesn’t impact their life at all. Again, take a little bit of pressure off yourself. It’s good to have the editorial calendar. It’s good because it helps you—if it helps you—to create content on a regular basis. Some of your audience, it’s good for them as well. But most people, it doesn’t really matter that much. I guess the other factor is even though there’s people who do notice that you’ve missed a post, so what? Nobody’s paying for your content. It’s not like you’re a newspaper where people are paying for a subscription. If you missed a piece of content—that free content that you write for them, it doesn’t really matter in this game of life as well. The last thing I want to say is another way of reframing of thinking about these schedules or these editorial calendars, sometimes a different way of thinking about it is to think about your schedule or your editorial calendar not as something that is a must, but more as something that is a goal—something to aim for. This is something I would say to Betty. I would encourage you to not completely abandon the schedule, but maybe to set yourself an internal goal. You have told your audience, you are not going to publish to a schedule and maybe they were expecting you to publish at certain times. You don’t need to tell people what your internal goal is. Your internal goal maybe, “I need to publish a piece of content once a month.” It doesn’t matter what day of the month. It doesn’t have to be the first Tuesday of every month or every Friday afternoon, but you can still have that expectation within yourself that you aim for. One of the things I would encourage you to think about is just to keep that content ticking over, to have some kind of a goal in mind. It doesn’t have to be a public goal. It doesn’t have to be that you announce to your audience that you’ll publish on certain times. But have an internal goal. I do worry slightly that if you have no schedule, if you have no expectation, if you have no goal, that maybe your content creation may slow down completely. Maybe that’s a halfway point of having some sort of an internal goal that’s not public. That last thing I want to say is that maybe there’s some other kinds of content that you can add into your mix that take a little bit of pressure off when you’re creating a content. I don’t know what Betty’s blog is. I don’t know the kind of content that she’s struggling to create at this schedule, but I suspect that written content—original content, original ideas, maybe some teaching content, these type of content—do take some energy, do take a fair bit of thought, and time to create. The other thing that maybe worth adding into the schedule of content that you create is content that is a little bit less pressure to create, maybe some easier content to create. Now, I’m going to do a whole episode on this type of content next week. I think there’s 10 or so different types of content that you can throw into the mix of your content that doesn’t take a lot of energy to create but still is of high value to your audience. I will go through some of that next week, but I’ll give you one example of that. This is something I’ve talked about back in episode 152 of this podcast, and that is curated embeddable content. Now, I know most bloggers are writing their own content. Most bloggers are coming out with their own ideas and presenting it. One thing that you can do to serve your audience is to find ideas from other people and to showcase them on your blog. One very easy way to do that is to find the embeddable content that you can embed into your content on your blog and add a few of your ideas to it. Episode 152 goes into this in much more depth, but a very easy example of this is to go to YouTube and do to a search for your topic and find a video that someone else has created on that particular topic that you think is of high value that is high quality and take the embeddable code and put it into a blog post of yours. What I would recommend you do is to create some content around that, an introduction to it, “This is why I like this video, this is where I found it,” curate at the source, actually talk about the person who’s written it, and maybe some concluding thoughts as well, what you would add to that. We do this every week on digital photography school. We have one post every week which we have put aside in our schedule to do an embeddable piece of content that we have curated in some way. It’s almost always a YouTube clip. In some ways, the reason we did that was to have a piece of content go up on the weekend that didn’t need a lot of time and energy to create, but what we actually found is that post every week, actually sometimes it’s the most popular post on our site, it does create a piece of content that our readers love. They love the fact that we’ve gone to an effort to find this content. They add a new voice into the site that wouldn’t have been there otherwise. It actually builds a relationship with the person who created that video, the people who we feature love the fact that we are getting more views of their videos and more subscribers to their YouTube channels as well. There’s a win-win-win there, really. It’s a win for us because it’s an easy piece of content to create that brings us traffic. It’s a win for our audience because it’s on topic, it’s relevant, it’s useful content, and it’s a win for the content creator, as well. Maybe there’s a way to create some easier content for your blog that will take a little bit of pressure off yourself to always to be coming up with the idea of your own. It still serves your audience, it still serves your blog, and it also serves the content creator as well. Next week’s episode, episode 250 of this podcast, I’m going to give you a handful more of this type of content. Content that is relatively easy to create that still gives you a win and it gives your audience a win as well. Stay tuned for that one as well. In the meantime, maybe just try an embeddable piece of content. It might just take a little bit of pressure of yourself. In taking that pressure off, you might actually find that it releases some creativity in you as well. Last thing I want to do today is share one more quote. This one’s from Ana Claudia Antunes who wrote, “Working hard is not a waste of time but a state of mind. Keep pushing your limits until you reach the edge. Then be kind and rewind.” I liked that idea. I do think there’s benefit in having editorial calendars for your blog and having deadlines. It pushes you to work, so harness them, but don’t harness them if they are working for you. Push yourself hard. A great blog is built upon lots of hard work, but you also need times of rest. You need to be in tune with where you’re at at this time for you. Be in tune with where you’re at enough that you’re able to take the foot off the pedal and be kind to yourself as well. You’re doing a great job with your blog. I know you are! You wouldn’t be listening to this podcast if you weren’t eager to improve your blog. There’s lots of science even by the fact that you’re listening to this that you are working hard on your blog. Just remember to be kind to yourself, as well, and you’ll be able to sustain this for much longer. Thanks for listening today. You can find today’s show notes at problogger.com/podcast/249 where there’s a full transcript. I’d love to hear your reactions to today’s show, as well. Do deadlines work for you? Are you the type of person who loves them? Who works well to deadlines? Maybe you don’t even need any more deadlines if you’re the type of person who does well with deadlines or are you the type of person who struggles with deadlines? I suspect we’re in the minority of those of us who struggle with deadlines, but I know for a fact that there are people who probably don’t work well to deadlines and maybe need to eliminate them or use them more as an internal thing than a public thing. I’d love to hear your opinions on that and I look forward to chatting with you next week in episode 250. I can’t believe we’re at 250 already and we’ll talk about some of these types of content that can take a little bit of pressure off you as well. I hope you’re doing okay. I hope you’re having a great week and I look forward to chatting with you next week. The post 249: Deadlines – Are they Good or Bad for Your Blogging? appeared first on ProBlogger.